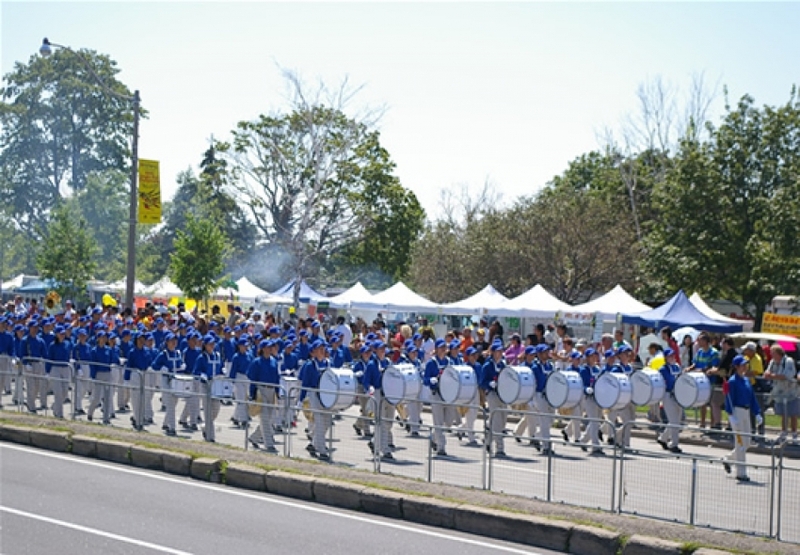 Tianguo Marching Band of Canada was formed in Toronto April 2006. Uniquely diverse with around 180 members from all walks of life and ethnic backgrounds, Tianguo Marching Band of Canada truly represents the multicultural society we are so proud of and support and has become the largest predominantly Chinese marching band in Canada. Along with practicing their instruments each member practices Falun Dafa exercises and its creed of Truthfulness, Compassion, Forbearance inspires them to perform with strength of heart and moral character. Music is the universal language that overcomes all boundaries of cultures and creeds and Tianguo Marching Band of Canada brings happiness and applause wherever they perform. To hear them is to love them. The Tian Guo Marching Band of Canada operates under the Lian Hua Arts Group, a registered no-profit organization in Canada dedicated to promoting traditional Chinese cultural art forms. We participate and give our full support for our Canadian tradition of multiculture events. We support all the communities events, no matter it's big or small. We support city and provincial wide events in the nation. 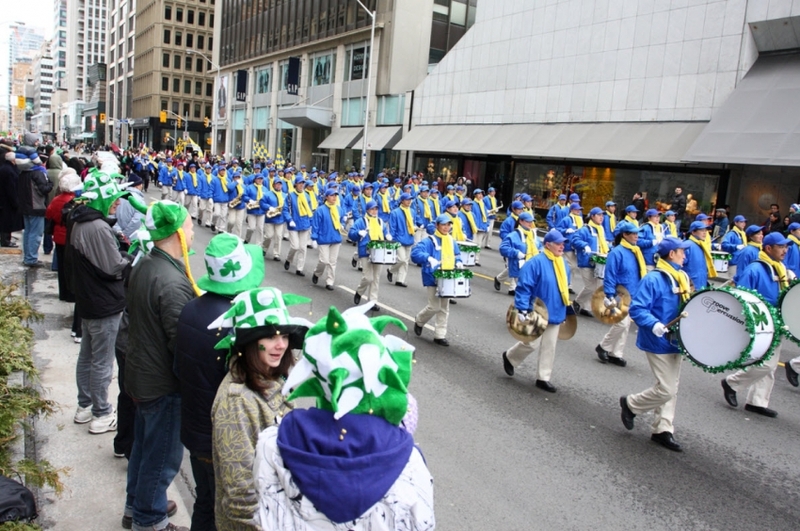 We are a non- profit organization with a passion to parade and perform. In our daily lives we strive to put others first in our words and actions. We are the largest predominantly Chinese marching band in Canada. Since our band was formed in April of 2006 we have performed in over 300 events including parades and stage performances. Ancient Chinese culture believes that good music can heal the body, mind and spirit. We perform with the intent of bringing our audience members joy, inspiration and good health. By sharing our beautiful music and the joy of living according to the principles of truthfulness, compassion and tolerance we hope to contribute to the community in a positive manner. "Falun Gong is the best”. Anna, a new resident to the area stated, “ As sunny as the weather, they bring hope to the world." On July 3rd, I participated in the Calgary Stampede Parade and was pleased to see members of Canada’s Falun Dafa community joining in the festivities. The Falun Dafa community was represented by practitioners in traditional dresses, the Divine Land Marching Band, dressed in blue and white, and the “heavenly maidens”, who wore beautiful pink dresses. The community also had a wonderful float. 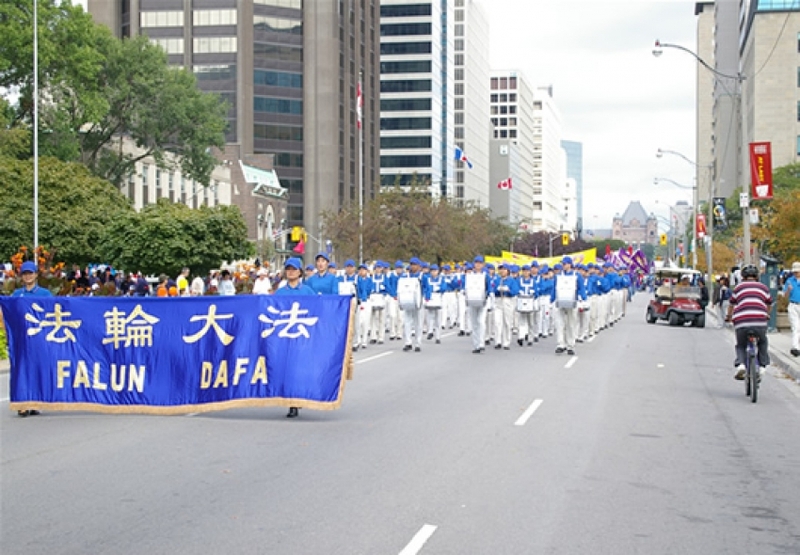 The Calgary Stampede Parade is a great expression of multiculturalism and pluralism in Canada, with the Falun Dafa community being an integral part of it. I thought you might enjoy these pictures — as always, please share with your friends and family.